The purpose of these materials is to provide a basic understanding of the direct and cross examination of valuation experts arising in various areas of litigation, primarily family law. The materials are designed to aid the litigator in the orderly and efficient presentation of evidence to the trial court and in drawing distinction between positions to allow for persuasive argument in support of one expert over the other. These materials commence with a general discussion concerning examination and then look at the actual application of the desired examination technique to each area of a typical valuation report. In preparing the testimony of an expert or the cross-examination of an expert, it is imperative that the counsel have a working understanding of the background of the trier of fact. A seasoned trial judge or one well-experienced in family law issues does not typically need to hear from the expert extensively on background and nature of the work performed. In fact, it is quite likely that the expert testifying has testified before that Judge on numerous occasions. Instead, the Judge is likely wanted to know the end result and valuation information as quickly as possible. On the other hand in a jury trial or in a presentation to a newly elected judge or judge with limited background in family law, the differentiation between the various methodologies and the basis for applying and discounting each could carry weight and credibility. On direct examination, it is important that the litigator efficiently deliver the information to the Court and avoid extraneous accusations and issues which undermine the credibility of counsel and the witness. Each valuation expert varies in the preparation and production of work product and reports. Some valuation experts prefer to hold back work product and worksheets until the last minute in order to avoid the adverse party (and expert) having the information to aid in cross-examination. Others are actually willing to meet with the adverse expert and party in order to compare notes in an attempt to reconcile differences of opinion. The inability of opposing counsel to receive information can, in the opinion of this writer, create an unnecessary distraction and side issue for the Court. Better practice is to proceed with confidence concerning the position and valuation and the expert presenting the same. The presentation by the Court is made more credible on direct examination if Counsel is willing to state that their valuation work product has been made available to opposing counsel months in advance, opposing counsel was afforded the opportunity to depose and challenge the expert and the expert even went so far as to meet with the opposing valuation expert in an effort to reconsider their position. It is also important to remember that communications between the attorney and the expert can be subject to discovery under O.C.G.A. §9-11-26. Any communication which suggests to the valuation expert a possible outcome (i.e. “We represent the Wife so we are looking to get her the most amount possible for her half of the business”) can be used to impeach or attack credibility, even if the overall effect of the communication had no bearing on the opinion of the expert. The presentation of direct examination should be organized in such a way as to efficiently provide the necessary information to the Court in determining value. Many experts offer to provide Counsel with a list of scripted questions to ask in order to walk through the examination. This approach should be avoided. First, the communication providing the script could be subject to discovery and create credibility distraction. Second, the questions are being organized by a non-lawyer who may lack the overall perspectives of the other issues in the case. As a result, the testimony appears rehearsed and disconnected from the remainder of the case. Judges and juries instinctively tune out to testimony of this nature or fail to connect points established through other witnesses to the testimony provided by the expert. Throughout the remainder of these materials, each of the various points of adjustment for experts is discussed and analyzed. An effective presentation will take the expert witness through each of the various subjective adjustments made to the data provided, note any differences in objective data and then compare and contrast areas of agreement and disagreement between the expert and his/her opposing expert. 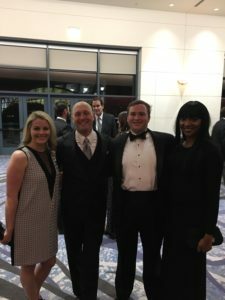 4/5 of O’Dell & O’N eal attorneys at the Cobb Chamber of Commerce annual dinner this past Saturday. Our attorney, Alyssa Blanchard at the Kiwanis U40 Social on the Marietta Square. I grew up in East Cobb, graduating from Pope High School, and then made my way to Athens, Georgia, where I attended the University of Georgia. After realizing that four years spent in Athens simply would not cut it, I enrolled in the University of Georgia School of Law. Athens and UGA will always hold a special place in my heart, but I am so excited and grateful to be able to return to Marietta to pursue my legal career. 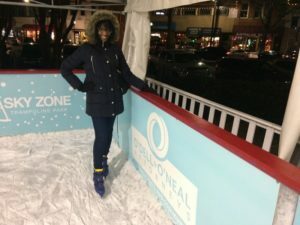 Being the first into my family to pursue a legal career, I had no idea of what to expect, from taking the LSAT, to going through law school, and now actually engaging in the practice of law. Fortunately, I had some fantastic professionals who work in the legal field to mentor me along the way. I believe that, no matter what profession one pursues, it is crucial that they do their best to surround themselves with people who can help them, and build and foster relationships with those people. The wisdom and advice that my mentors provided to me was invaluable, and I still lean on them for support and mentorship to this day. 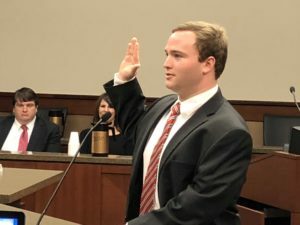 After passing the bar exam and being sworn in, in order to become fully licensed to practice law in the state of Georgia, new lawyers must complete what is called the Transition Into Law Practice Program (TILPP). This program requires new lawyers to partner with a mentor who can guide you through the practice of law by giving you the opportunity to gain experience with both legal and community work that would be expected of a lawyer. Such activities include introduction to the legal community and the community at large, introduction to law office management, working with clients, advocacy experience, closing and transactional work, the obligation of attorneys to others, and negotiations. TILPP is a great program for new lawyers because it provides them with the opportunity to gain practical experience that many students may not have received in law school, and ultimately results in producing better attorneys for the citizens of Georgia and beyond. I have always wanted to use my tools and talents to help others, and I have come to realize that attorneys are uniquely situated to assist people in some of their most dire times of need. 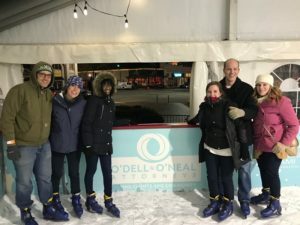 As one of my professors and mentors in law school once told me: “Law school is about the law, law practice is about people.” I am appreciative of the opportunity to work at O’Dell & O’Neal, because of their commitment to this principle, and I hope to continue to grow and learn from the excellent attorneys who work here. Our attorney Justin O’Dell speaking to Park Street elementary students for My Next Big Adventure. 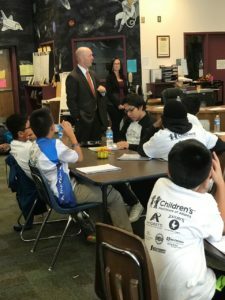 A program that teaches 8th grade students how to mentor to 5th grade students on social and interpersonal skills. #CobbDiaperDay was a success! 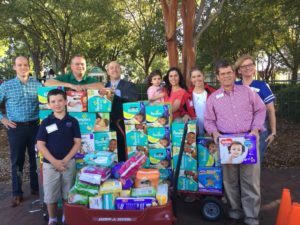 Over 89,000 diapers donated this year. 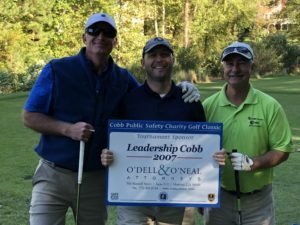 Proud tournament sponsor for the 14th Annual Charity Golf Classic benefiting Safe Kids Cobb County & Cobb County Safety Village. 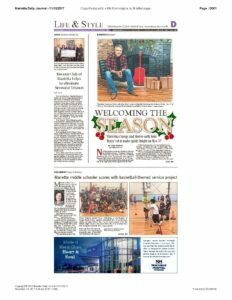 The money raised by the golf tournament and silent auction is providing hundreds of local children with individualized child safety seat checks, bicycle safety rodeos, home safety kits and other community safety education programs.